See post 5 for a new, improved GPX. Nice job Brian. It's been so nice out, these will be some nice day trips to try out. Very nice route, especially some of the twisties near Holy Hill. Cool mix of lake country and scenic highroads. 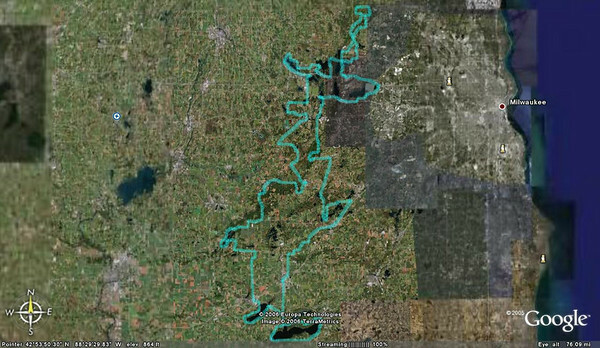 CJ Racer and I completed all loops north of Eagle on January 7th. Ran out of light for the last loop into Lake Geneva. We did about 60% of this route with a connection to Bryan's route around Lake Winnebego for Day 1. 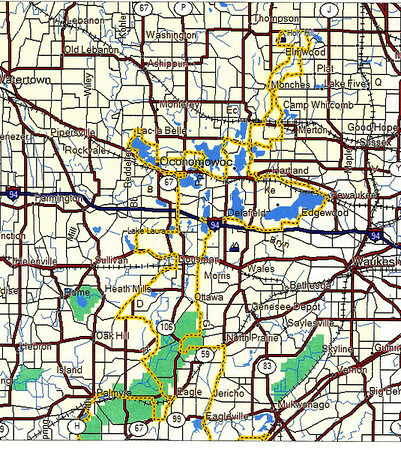 We rode most of the track for SE WI Lakes tour and found it FANTASTIC. This was Camille's first moto trip and she can't wait to go again. 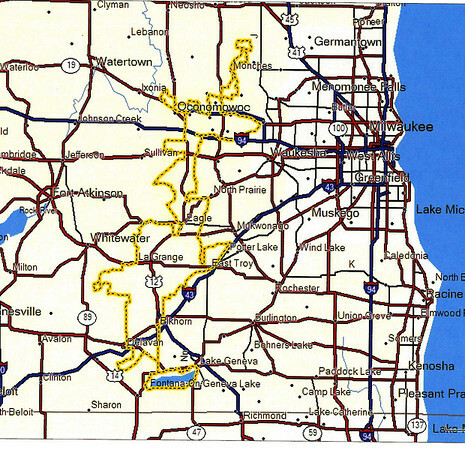 We ended around Holy Hill for day one and then I went North to link into your Central tour around Lake Winnebego. We didn't get that far North, but stopped for Lunch around Keewaskum and then headed back into Hartford to the Auto Museum, which we found very cool. Many old Kissel's, Nash's and about 98 others-around 100 cars. I would highly recommend this trip to anyone in the Northern IL/Southern WI area, and any of the BMWMOA visitors to West Bend. You will never be more than 60-70 miles from the rally site, but will get about 200+ miles in for the day. Completed a new version of the .gpx that contains a route. Trimmed the track segments to less than 250 to accommodate more units. Replacing lost file. 21,269 views from previous host site.